Deltahost Review 2019: Is Deltahost a Good Hosting? Deltahost is a small web hosting company based in Ukraine. 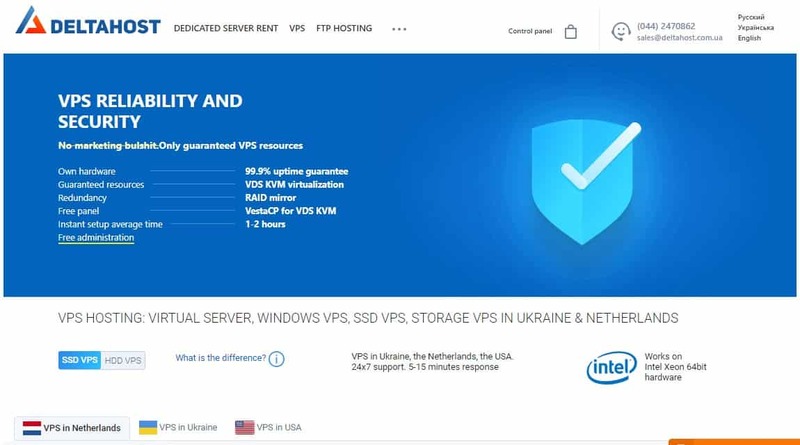 Established in 2008, the vendor is best known for offering server rental services to its customers in Ukraine and other countries in Europe. Ukraine-based Deltahost is a web hosting company founded in January 2008. The hosting firm is popular for offering server rental services to businesses in Ukraine and several other countries in Europe. It also offers an array of services such as VPS hosting services, FTP hosting services, and domain registration. The Deltahost website is available in Ukrainian, Russian, and English. Deltahost servers are placed in highly secured data centers located in Ukraine, the Netherlands, and the U.S. The servers use hardware and software from industry leading companies such as Intel, HP, and Cisco. A closer look at its hosting solutions reveals that Deltahost caters to clients with high resource demands. The vendor does not offer shared web hosting solutions. Instead, it offers top-notch VPS and dedicated servers. Its VPS solution includes an unlimited number of websites, FTP accounts, and MySQL databases, among other features. What’s more, the vendor offers additional IPv4 addresses to the server upon clients’ requests. However, the hosting firm has blocked the ability to send emails from its IPv4 addresses in efforts to protect its system and its customers against the spread of spam. Deltahost does not store or make backup copies of its VPS and dedicated servers. The hosting provider maintains that clients are solely responsible for the creation of data backups. To keep your website safe, therefore, you would have to outsource these services. Deltahost’s different hosting packages offer high quality features at a somewhat affordable price. To reduce your charges, it might be a good idea to subscribe to the yearly payment plan, which comes with significantly discounted prices. One significant downside of this vendor’s offering is that it expects you to explore its solutions within 48 hours to determine if it’s a good fit. Take longer than this and you won’t get any refund for your money. The vendor offers a 99.9% availability guarantee. You can contact Deltahost support via telephone, email, live chat, or ticketing system. Additionally, it has an active presence on social media platforms that also serves as communication channels between the company and its customers. 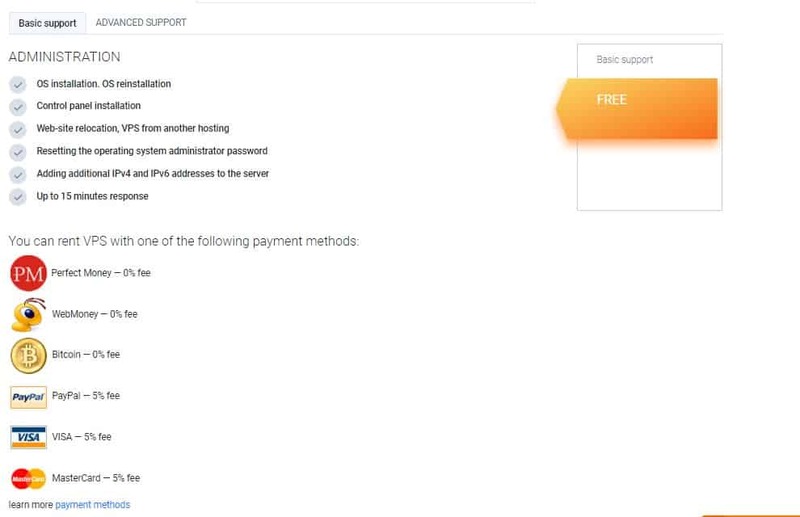 Deltahost’s support team is only available to its existing customers via the control panel. Others who wish to get in touch can only send sales-related inquiries to the vendor’s sales team. The hosting provider says that its support team is available 24/7 and has a fast response time of about 15 minutes. I sent out an email to the sales department, the only method available to non-customers, but never heard back from them. Deltahost also does not have a knowledge base and its blog section has only one article. Deltahost has designed excellent server rental solutions that can handle even the most resource-intensive businesses in Ukraine and beyond. However, the vendor’s lack of shared web hosting services locks out the majority of SMEs. In addition, its unresponsive sales team would be a red flag to business organizations considering its hosting services. Wondering how Deltahost stacks up against other Web Hosting companies? Enter any other Web Hosting company and we will give you a side-by-side comparison.